If neither your name is Bastian Balthasar Bux, nor are you calling your dragon Fuchur, then you might lack some experience with literally stepping into and living in a book. Too bad, but not hopeless. Read on. First step: Write a book. Second step: Draw the illustrations. Third and crucial step: Love it. A fourth and final step happened when we created the Orgatec stand for Nimbus and Rosso. We turned the characters from Frank's kid's book Ruhe im Wald! into an intriguing and atmospheric diorama where visitors could dive into an acoustically, olfactory and visually appealing adventure. Access to the stand was possible from the corners where visitors had to follow an undulating path through a forest made of acoustic elements hanging from the ceiling. Bark mulch on the floor intensified the forest-like feeling through its smell and the soft surface. Two terraces offered solid ground and a few outdoor benches were used as meeting points. From the fox to a wild hog one could discover the protagonists of the kid's book hidden in the forest. 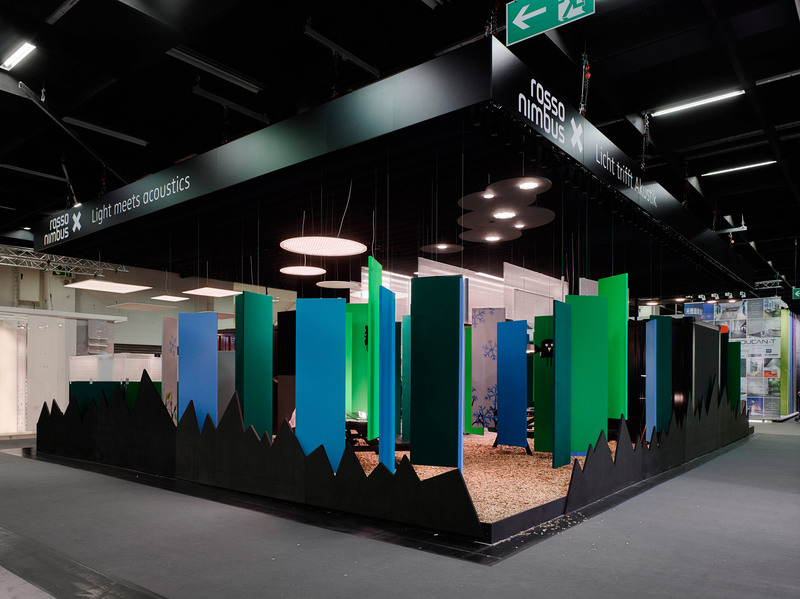 The fair stand showed Nimbus luminaires as well as Rossoacoustic acoustical elements. Both technologies were combined in one prototype product, a floor-standing luminaire with a directional speaker emitting a specially designed sound for noise masking at workplaces. Light meets acoustics. 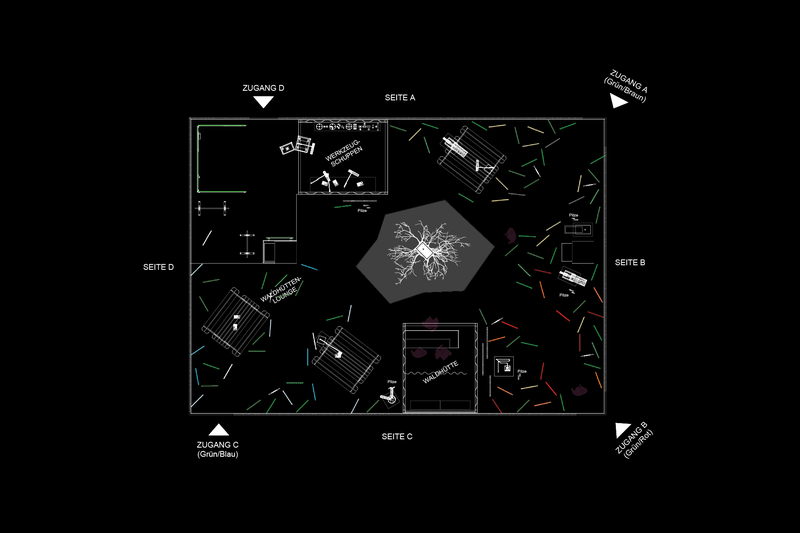 The technology of the sound masking luminaire is really complex. To make it a little more understandable we created a stop-motion movie that tried to explain the principles in a way that even we were able to understand it.